The prepayment Deadline has passed for this Sunday 24th Nov. Sorry, but computer problems prevent prepay for the Party on 18th Dec.
Hope to have this again available for 30th Dec.
To maintain a fair system & enable administration: usually ending about 5 days before the dance itself. 2016 Autumn to New Year "Brummie Contras"
NB 27 Nov - Geoff Cubitt & Warwick Uni Folk Soc Contra Dance Band 16Nov2/ Tue 22nd Nov.
30 December - Bill Kinsman with Stray Chords 16Dec2/ Tues 27th Dec.
- Note: Venue for Contras presently is Sunday afternoons at Elmdon Heath ! - Note: Venue for Contras presently remains at Elmdon Heath ! - Presently the Venue continues to be at Elmdon Heath ! NB add sentence somewhere?It is hoped that this facility encourages students, groups & families to the Contras, at less cost, to share-around the joy of the dancing. - Note: Venue for Contras continues to be Elmdon Heath ! Starts with the dance's code eg: 16Nov2/It is hoped that this facility encourages students, groups & families to the Contras, at less cost, to share-around the joy of the dancing. REMEMBER Ask CALLER to remind about prepayment at end of Dance. On 6th Mar (Jake Wood) at £5.85 per dance = £76 for 12 Contras left + Xmas Party. GF EVE 25th Mar (J.M & P. Drv) at £6.00 per dance = £72 for 11 Contras left + Xmas Party. On 17th Apr (Rhod.) at £6.18 per dance = £68 for 10 Contras left + Xmas Party. On 22nd May (Kathy A.) at £6.40 per dance = £64 for 9 Contras left + Xmas Party. On 5th June (Adam) at £6.66 per dance = £60 for 8 Contras left + Xmas Party. Sun 4th Sept - Rhodri Davies & Minor Contravention - Nicky, Ian, Charley. Sun 2nd Oct - Rachel Shapiro-Wallace & The Night Before - Alan, Nicky, Adam. Sun 23rd Oct - Jake Wood & Double Dichotomy - Mollie & Vic. Sun 6th Nov - Graham Knight & Contra-Alt-Delete - Nikki, Grace, Sam, Ozzy. 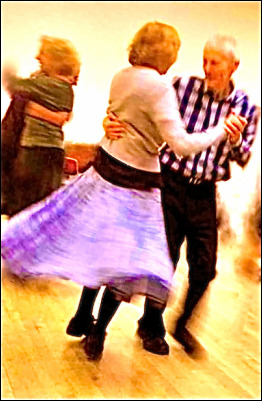 NB Sun 27 Nov - Geoff Cubitt & Warwick University's Folk Society Contra Dance Band. Note: Sun 27th November is a week earlier than the originally announced date ! with a Great Live Contra Band soon to be confirmed. 4th Sept - Rhodri Davies & Minor Contravention - 16Sep/ Wed August 31st. 2nd Oct - Rachel Shapiro-Wallace & The Night Before - 16Oct/ Tue Sept 27th. 23rd Oct - Jake Wood & Double Dichotomy - Mollie & Vic. - 16Oct2/ Tue Oct 23rd. 6th Mar - Jake Wood & “Contra-Alt-Delete” 6Mar/ February 29th. GF Eve - 25th Mar - Friends Meeting Bournville John Meechan & P. D. Duo 25Mar/ Mar 19th. 17th Apr - Rhodri Davies & Moonlighting (As a new 4some)17Apr/ April 11th. 22nd May - Kathy Anderson & Double Dichotomy 22May/ May 16th. 5th June - Adam Hughes & ECDB 5Jun/ May 30th. 26th June - Geoff Cubitt & Warwick Folk Contra Band 26Jun/ June 20th. 10th July - Frances Richardson & Double Dichotomy 10Jul/ July 4th. 2016 Spring & Summer "Brummie Contras"
3rd Jan - Geoff Cubitt & “The Night Before” 3/Jan December 28th. 24th Jan - Mark Elvins & “Minor Contravention” 24/Jan January 18th. 7th Feb - Lynne Render & ECDB 7/Feb February 1st. 6th Mar - Jake Wood & “Contra-Alt-Delete” 6/Mar February 29th. GF Eve - 25th Mar - CHECK VENUE John Meechan & P. D. Duo 25/Mar March 19th. 17th Apr - Rhodri Davies tbc & Moonlighting (As a new 4some) 17/Apr April 11th. 22nd May - Bob Morgan & Double Dichotomy 22/May May 16th. 5th June - Gill Emerson & ECDB 5/Jun May 30th. 26th June - Rhodri Davies tbc & Warwick Folk Contra Band 26/Jun June 20th. 10th July - Frances Richardson & Double Dichotomy 10/Jul July 4th. All 2016 Spring & Summer "Brummie Contras"
SUN 20th Dec Kim's Christmas Fun Dance - 15/Dec December 12th. 3rd Jan - Geoff Cubitt & “The Night Before” 16/Jan December 28th. 24th Jan - Mark Elvins & “Minor Contravention” 16/Jan/2 January 18th. 7th Feb - Lynne Render & ECDB 16/Feb February 1st. 6th Mar - Jake Wood & “Contra-Alt-Delete” 16/Mar February 29th. GF Eve - 25th Mar - CHECK VENUE John Meechan tbc & P. D. Duo16/Mar/2 March 19th. 17th Apr - Rhodri Davies tbc & Moonlighting (As a new 4some) 16/Apr April 11th. 22nd May - Kathy Anderson (not BobM) & Double Dichotomy 16/May May 16th.?? 5th June - Adam Hughes & Gill Emerson & ECDB 16/Jun May 30th. 26th June - Rhodri Davies tbc & Warwick Folk Contra Band 16/Jun/2 June 20th. 10th July - Frances Richardson & Double Dichotomy 16/Jul July 4th. Download, complete & email to Karen a dance FORM - HERE - NOW ! at the NEW VENUE of Elmdon Heath Hall: B91 2SF. SUN 20th Dec Kim's Christmas Fun Dance - 15/Dec 12th December. Elaine plays in "Portland Drive". 29th Nov Jake Wood & Double Dichotomy. 15/bNov 24th November. PARTY PREPAYMENT form HERE - ADULT £6. Student £5. PARTY PREPAYMENT form will shorty be HERE.- ADULT £6. Student £5. Party dance is inclusive for 2015 Season Ticket holders. PARTY PREPAYMENT form HERE - ADULT £6. Student £5. Party dance is inclusive for 2015 Season Ticket holders. SOON TO COME - the best prepay value will be: 2016 Season tickets. OFFER WILL END - on announced date - on homepage & fill-in form - USUALLY ABOUT A WEEK PRECEDING THE NEXT CONTRA. 2) Make the FPS PREPAYMENT THROUGH YOUR BANK. PAYING THIS WAY YOU may phone your bank, so NEED REVEAL NO PERSONAL BANK DETAILS WHATEVER ON LINE ! Let's encourage you ! DISCOUNTS available for prepayment. 1) Many like to: Prepay at the door for the following dance. 2) Same saving NOW - STILL available here on line, through your bank. NOW DISCOUNT IS EXTENDED just 2 MORE DAYS. FINISHING at the END OF SUNDAY 27th Sept.
Let's encourage you to commit to coming ! 1) Many like to buy: Prepaid tickets at the door -- for the following dance. 2) Same saving WILL be available HERE on line. You pay individually through your bank. AFTER THIS COMING CONTRA DANCE. AND THEN PREPAY US BY FPS THROUGH YOUR BANK. This FPS Fast Payment Service was known as BACS. The "PREPAY DANCE" webpage, & a discount form usually become available during the week following each Brummie Contra. OFFER WILL END - on an announced date, a week or so preceding the next contra. YOU NEED REVEAL NO PERSONAL DETAILS WHATEVER ON LINE - If you pay through your bank by telephone, or a branch visit. 2) You can: Prepay also at the door for the next: ie following dance in the series. 3) Same saving TO BE available here on line, through your bank. This webpage, & a discount form usually available during the week following a Brummie Contra. YOU WILL BE ABLE TO DOWNLOAD THE FORM YOU NEED HERE AFTER THE COMING DANCE. AND THEN FPS PREPAY THROUGH YOUR BANK. YOU NEED REVEAL NO PERSONAL DETAILS WHATEVER ON LINE ! That saves £2 per adult (£1.50 student). 3) Same saving is available here on line, through your bank. The webpage here, & associated discount form are usually available during the week following a Brummie Contra. OFFER WILL END - on an announced date - USUALLY ABOUT A WEEK PRECEDING THE NEXT CONTRA. This gives band & caller some warning for music etc, should a favourite dance/s have been requested. 2) FPS PREPAY THROUGH YOUR BANK. THIS WAY YOU REVEAL NO PERSONAL BANK DETAILS WHATEVER ON LINE ! PARTY PREPAYMENT form ﻿HERE﻿ - ADULT £6. Student £5. at venue needing to be confirmed.